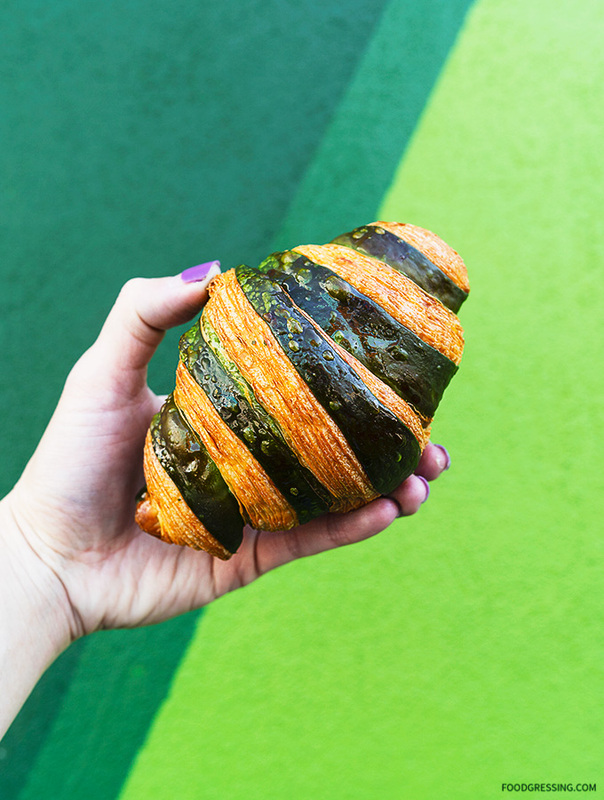 This past Sunday, L’atelier Patisserie offered a limited available matcha croissant. 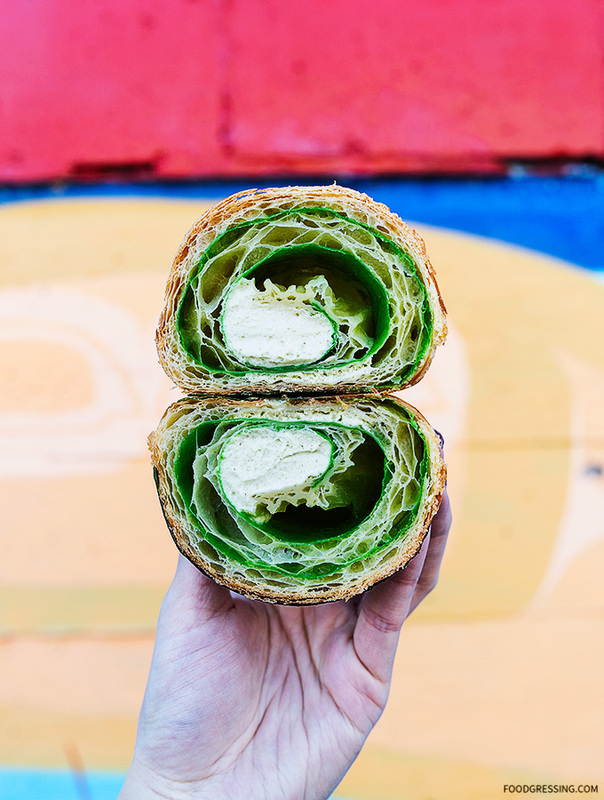 In terms of sweets, I like to save my calories for a delicious, elevated croissant so this matcha croissant was up my alley. The croissant was priced at $5 and it was limited to one per person. L’atelier Patisserie opens at 10 am on Sunday and I was able to get one when I got there around noon. They announced that they were sold out pretty soon after that. L’atelier Patisserie makes wonderfully buttery, flaky croissants and this matcha one had an authentic matcha taste balanced with sweetness. The outer shell had some matcha-flavoured layers while the inside had a matcha cream filling. Super delicious and I hope they have this on the regular menu sometime. If you want to be up to date on L’Atelier’s recent offerings, be sure to follow them on Instagram. That is where I find out about their latest creations. L’Atelier has quickly become my go-to place for croissants in Vancouver. They’re a humble patisserie run by a husband and wife duo who focus on creating the best croissants in Vancouver. I definitely recommend giving them a try.